Are you looking for a vacation or an experience? I often find that people are looking for just a little bit more than the pink umbrella by the pool. Now, don’t get me wrong… I love that little pink umbrella sitting next to a crystal, clear pool overlooking the ocean with the sun warming my skin. But I have done that. A few years ago, a friend of mine told me, “I want an experience. I want to do something that I feel on the inside, something that challenges me but doesn’t break me”. She was an avid athlete. Ran marathons and competed in triathlons… But all she brought home was a t-shirt that she rarely wore and another metal to collect dust. I personally would love to get those t-shirts and metals – but I’m too old for that! I’m sure you have heard of empty nest syndrome? I often have people tell me, “now that the kids are gone I’m ready to travel”. Why wait until the kids are gone to travel? Go somewhere you can bring the culture back to them? Travel somewhere that fills your soul and refreshes you as a person, as a mom or dad. Take time for yourself. I’m sure if you go for that pink umbrella you may be relaxed, but what are you bringing back? I’m a mom of two girls, Lexi and Lola. I am also an international photographer promoting photography adventure tours. I started Driftwood Adventures about 3 years ago when a friend mentioned to me, “I’d love to do what you do, but I don’t think I can by myself”. I had been working in Nepal for a while before she told me this. I had local partners there I could trust. I said to myself, “Why not”? I created a small group travel company by the name of Driftwood Adventures. We are a boutique company that focuses on the experience Everest base camp tours, Gokyo lake trekking etc while giving back to the community. I often hear people talking about supporting the local community. By Local. 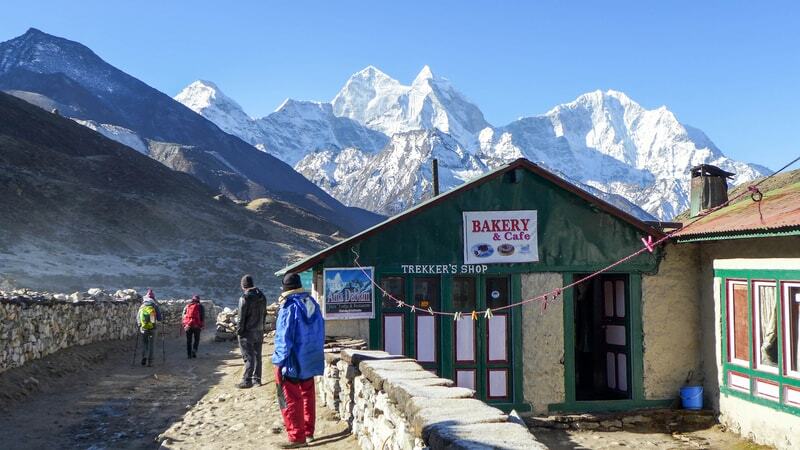 Did you know that the best way to help smaller communities in the Khumbu Valley or along the Annapurna Circuit in Nepal is tourism? The Sherpas make their living from helping us. The tea houses need people to stay with them so that they are able to pay the government. We not only trek but we immerse ourselves in the Nepalese culture by volunteering in local schools, learning to cook traditional Sherpa food and supporting the local economy while trekking through the majestic Himalayas as part of our adventure trekking tours in Nepal! Our Sherpas are our family. Honesty, over a quarter of the cost goes to paying our family so that they may take care of theirs! I run photography workshops that will help you in bringing your experience home. That pink umbrella may fall apart, but a photo can tell a thousand words! Book an experience with us www.driftwoodadventuretreks.com If not with us, if you aren’t into trekking find an experience somewhere that fits you and allows you to be you. Go, Step out of the Familiar. What is a Sherpa Step?